In some environments, it is not always the case where control and security is necessary. Especially in home based developments such as HANA Express Edition, where you may wish to lift your efforts and take to another system. 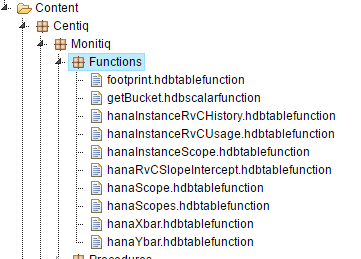 If you are developing content in Eclipse, under a Project, and you have Functions amongst other Project artifacts. 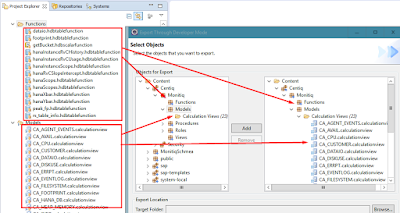 Using Eclipse File -> Export will not pick up certain objects, i.e. functions. The various Functions exist in Project, along with Views. 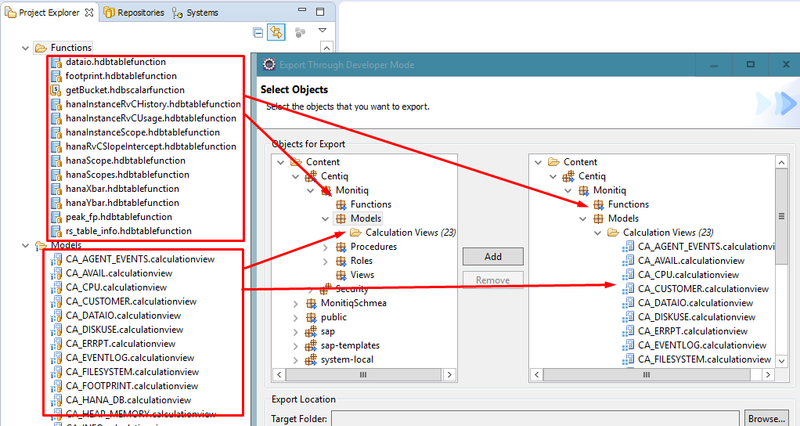 In the Export Dialog Window, the Functions are not visible, like the Views. 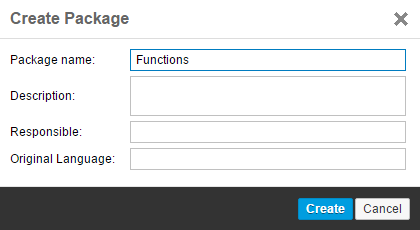 More so, adding the Function Package, still does not find them. So, using the Import/Export mechanism, is not available in this scenario. 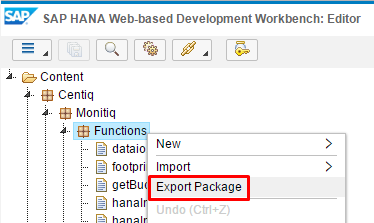 However, it can be achieved using the SAP HANA Web-based Development Workbench Editor. 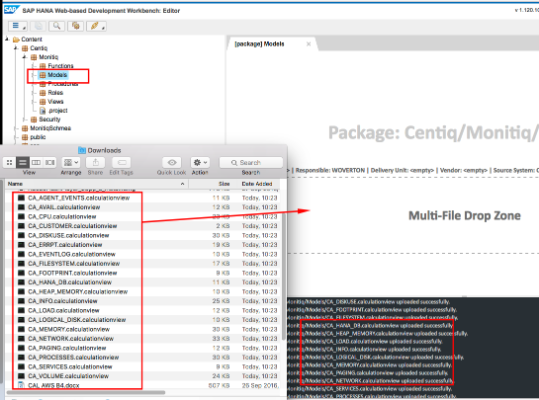 Take the ZIP file over to the Target system and open up the SAP HANA Web-based Development Workbench Editor. If the Objects are to be imported into different Package names, than where they were originally Exported from, it is likely that the Objects will need to be modified appropriately before successful Activation. If the desired target Package does not exist, it will need to be created. If the Package is not immediately visible, Refresh the Package tree. Before selecting the Archive for Importing, the Zip file can be edited, and Objects that are not required can be deleted from the Archive. I navigated to the Package, and performed a Refresh, to find my Objects, present, but Inactive. To this end, I Activated them all individually, successfully. 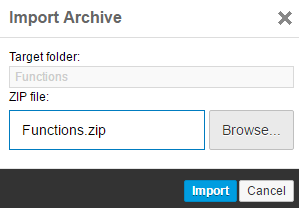 Another way of performing the import, is to use this Multi-File Drop Zone. Unzipped the downloaded Package to a location. Select the import Package. This displays the Multi-File Drop Zone.